to show its love for you! Give your valentine a truly special gift with the cyber flower digital valentine project! This is a beautiful artificial flower that glows different colors using a Gemma M0 and its built-in DotStar LED. If you pick up the cyber flower it detects your touch and animates a glowing heart beat to show its love. This flower will never die--as long as its batteries are charged. The cyber flower is a great demonstration of CircuitPython code. CircuitPython is a version MicroPython and the Python programming language which can run on boards like the Gemma M0. With simple Python code the cyber flower animates its DotStar LED. You can even modify the code with ease and no need to install software or complex tools. Before you get started it will help to familiarize yourself with the Gemma M0 and CircuitPython. Then continue on to learn about the parts and hardware needed to build this project. Gemma M0 - You need the Gemma M0 and not the older Gemma board for this project. The M0 version has a built-in DotStar LED that will light up the power by itself--no need to add any extra hardware! In addition the M0 version of Gemma can run CircuitPython code which is what this project is built to use! An artificial flower - Check your local craft store for a wide assortment of artificial flowers. A white color flower is best because it will show the true colors of the DotStar LED, however you can experiment with other colors too. Look for a flower with enough room to hold the Gemma M0 board in its center, like a rose, tulip, or similar flower. Battery - A small lipoly battery like a 350mAh version is easy to hide between the petals of the flower. Or grab a battery extension cable and larger battery or 3xAAA battery pack for more power options. 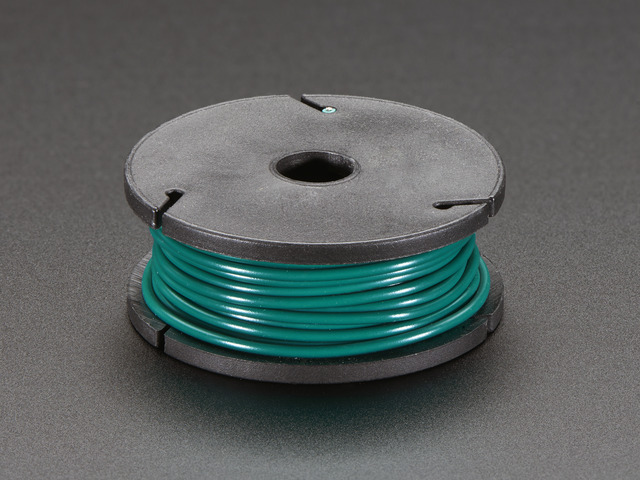 Solid core wire - Solid core wire is best for attaching to Gemma M0 and then wrapping around the stem of the flower. This wire is used to detect when someone touches the flower stem and will trigger a heart-beat animation on the LED. You don't have to attach this wire--if you don't then the touch sensing probably won't work but you'll still see nice color animations from the LED. Soldering tools - If you're attaching wires for capacitive sensing you'll need to solder them to pads on the Gemma M0 board. Check out the Adafruit Guide to Excellent Soldering for more details on how to solder! Once you have the parts you can solder a few wires to the Gemma M0 board for capacitive touch sensing. This isn't absolutely necessary though and can be skipped if you aren't confident with soldering. Without the wires the flower won't detect touches but will still animate different colors. As an alternative you might be able to tape aluminum foil or copper tape to the pads of the Gemma M0 instead of soldering, but it might not be as robust or strong as soldering wires. Regular / insulated wire soldered to Gemma M0 D0. Be careful with the uninsulated ground wire to ensure it does not touch any other pin on the Gemma M0. 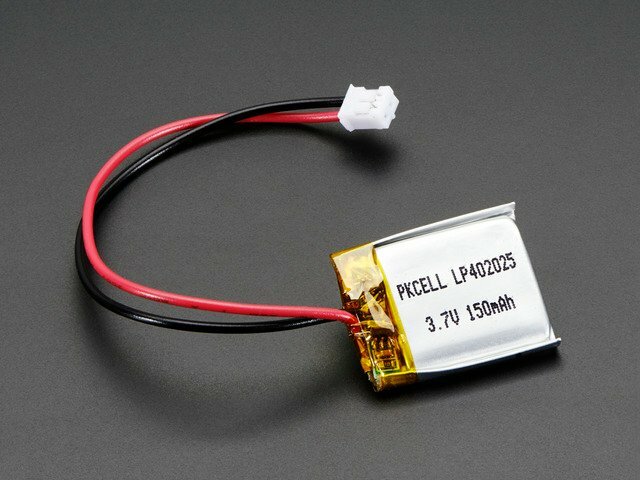 If the ground wire touches the 3.3V or Vout pins it can short out the board and potentially damage it, the battery, or a computer connected to the Gemma M0! Take care to carefully route and move the ground wire! Connect the battery and you're all set! The flower is ready to have code loaded onto it that will drive the DotStar LED! 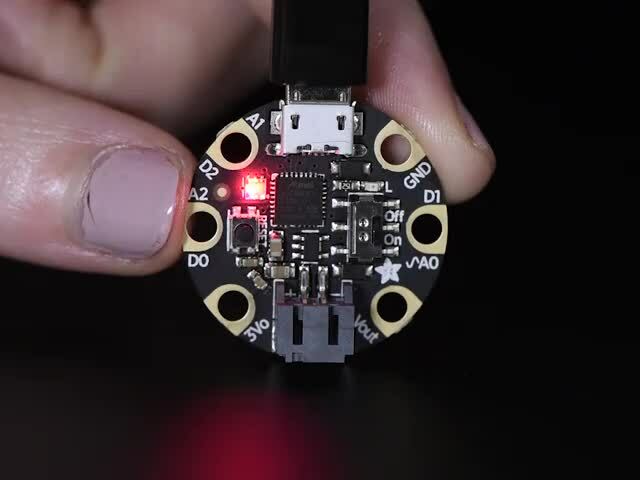 The software for this project is written in CircuitPython so it's easy to run and modify, just write the code straight to the board's USB drive! If you're new to CircuitPython and Gemma M0 first check out the Gemma M0 CircuitPython guide pages. These will explain what CircuitPython is and how to load it onto your Gemma M0 board. Before you continue make sure your Gemma M0 is running the latest version of CircuitPython by updating its UF2 firmware. Also be sure you can see the board's CIRCUITPY drive when you connect it to your computer with a USB cable. Once you see the CIRCUITPY drive you're all set and ready to load the project code. Be sure you've copied both these files and folders (and all the files inside the folders) to your CIRCUITPY drive before continuing! 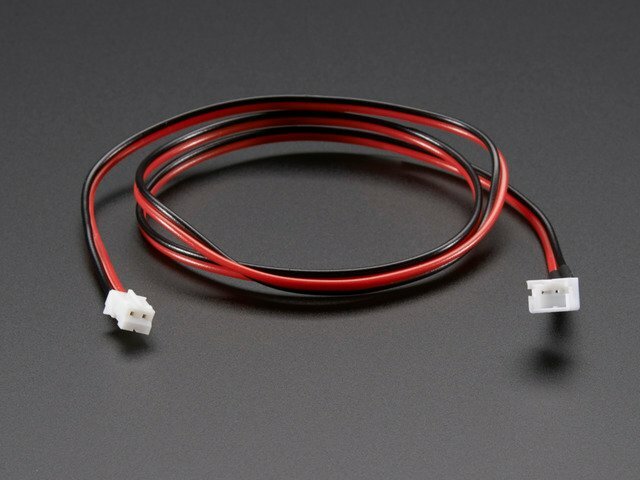 Copy this main.py to your Gemma M0's CIRCUITPY drive. Make sure to overwrite any main.py that's already on the board! The flower code might start running as soon as you copy the file to your board. However just to be sure you can eject the CIRCUITPY drive from your computer, then press the board's reset button and the flower code should start running. When the flower code first starts it will wait 5 seconds and flash the Gemma M0's tiny red LED on and off. This is a short delay that gives you time to stop touching the board and the D0 and ground wires. For the capacitive touch sensing to work you want the board to be 'calibrated' with nothing touching it, so during the initial startup delay put the flower down so nothing is touching it. Then after 5 seconds the red LED will stop flashing and the DotStar LED will turn on to animate different colors. At this point the flower code is running--try picking up the flower or touching the D0 wire to see the heart beat animation! Note that if the flower is only powered by a battery (i.e. not connected to your computer) you might need to touch both the ground wire and D0 wire to trigger the heart beat animation. This is why assembling the flower with a bare / uninsulated wire connected to ground is best, it allows someone to touch the flower and simultaneously ground themselves and trigger the capacitive sensing. Also be aware if you have trouble getting all the dependencies copied to your board and working, there's a variant that does not have any dependencies called main_simple.py You can download main_simple.py and rename it to main.py, then copy to your Gemma M0's CIRCUITPY drive. There are no other dependencies needed to use this version of the code (but it's a little harder to read and follow compared to the main code above). Out of the box the flower code should work great without any modifications. However since it's all simple Python code you can easily change it with any text editor. The code is written with a few variables at the top that you can change to modify how the flower works. First make sure you're familiar with editing and running code on a CircuitPython board. # the small red LED on the board will flash. # the board and try again). # anywhere within 0 and 1.0, where 1.0 is full bright. # For example 0.5 would be half brightness. # speed up the heartbeat, and decrease to slow down. On the right you can see comments (text after a # character) which describe the values. Try changing one of these, like the HEARTBEAT_HUE value at the bottom. If you change HEARTBEAT_HUE from 300.0 to 180.0 it will change the color of the heart beat animation to a cyan/blue color. Modify the value and save the main.py file on your CIRCUITPY drive. The board should see the changed code and start running it again (remember it has a 5 second startup delay where it blinks the red LED). If you touch the D0 pad now the heart beat should be cyan/blue--cool! Experiment with changing other values like HEARTBEAT_BPM to change how fast the heart beat animation runs, or RAINBOW_PERIOD_S to change how long it takes for the DotStar to cycle through a rainbow of colors. Each time you change a value just save the main.py on the board again and it should start running with the new code! That's all there is to the cyber flower digital valentine project! This guide was first published on Feb 05, 2018. It was last updated on Feb 05, 2018.